Odd Raven Studios, the Stockholm-based developers behind Carly and the Reaperman – Escape From the Underworld (2018), announced that the VR couch co-op platformer is getting a single-player experience starting today. 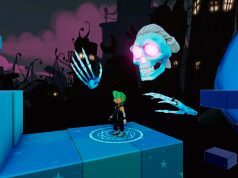 Carly and the Reaperman was originally designed as an asymmetrical cooperative game, where a non-VR player controls Carly in the third-person, while another steps into the first-person role of a giant ghostly figure named ‘the Reaperman’ to assist her along the way by moving platforms and holding enemies at bay. Now you’ll be able to play the single-player experience in VR, solving the puzzles and avoiding the world’s dangers all on your lonesome. The single-player mode will go live today at 6PM CEST (local time here). 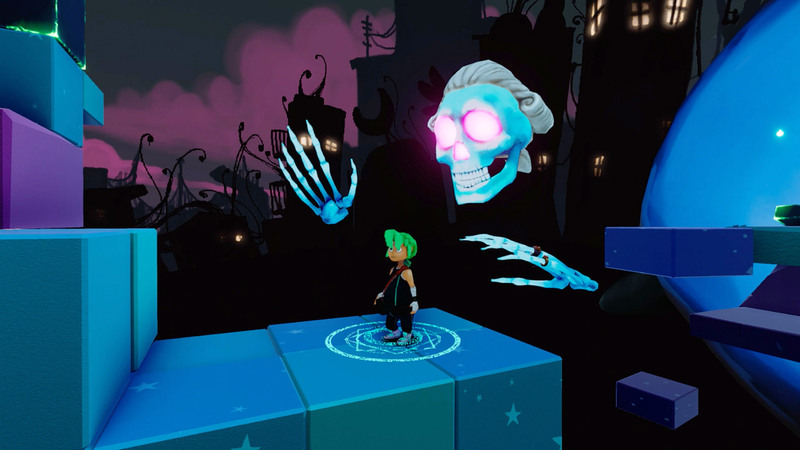 While puzzles are still pint-sized to a VR player’s perspective, the studio has created a way that will have you taking on all the same tasks as the two-player game. We went hands-on with Carly and the Reaperman before its general release this summer, and while the single-player mode likely does away with a few of the quirks of the original couch co-op mode, including the ability to see invisible platforms in VR, prompting some fun communication between players, it’s good to see at very least that’s it’s an option for those who want to get some more Reapermaning when your friends and family aren’t available for the 50+ levels available in the game. Carly and the Reaperman supports HTC Vive, Oculus Rift, and Windows VR headsets, purchasable on Steam (Vive, Rift, Windows VR) and the Oculus Store (Rift). A demo is also said to be available with a few early levels, although at the time of this writing it doesn’t appear to be live. The studio also teased a PSVR version in the works too, although there’s no concrete info on when it’s due to arrive.